Tiny Mouths Are A BIG Deal! A Lifetime of Excellent Oral Healthcare Starts Early with Pendleton Family Dental High quality dental care and patient comfort are our goals. We are committed to helping your child achieve the best possible dental results in a comfortable and child-friendly environment. Your child should have a comprehensive dental examination regularly with our general dentists which includes a thorough examination of his or her teeth and gums. Children, who require the services of our pediatric specialist, are then scheduled for a specialty consultation visit, where we use the findings to formulate a complete diagnosis and comprehensive treatment plan for your child. Recommendations for treatment are always explained prior to the treatment appointment. This will ensure that you receive the information essential to understanding your child’s treatment options (including sedation). Our time investment in parental education enables us to render the best outcome for your child’s dental treatment. 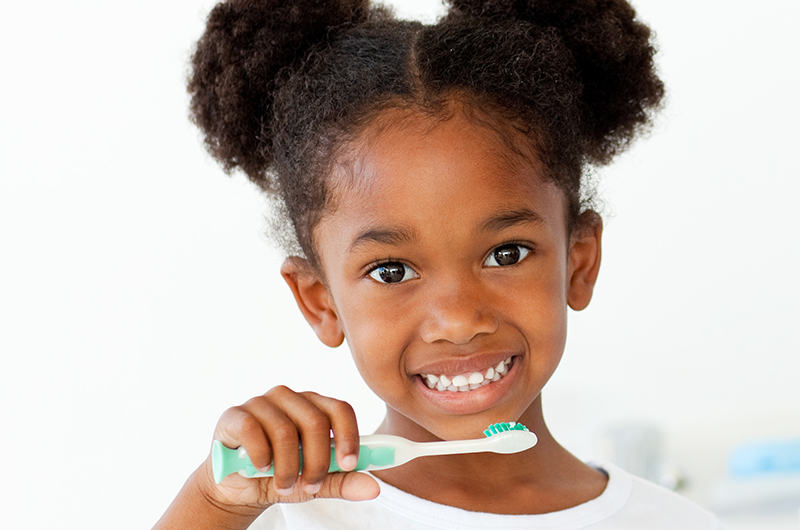 Contact us today to schedule an appointment for your child’s oral health care. Patient safety, health and well-being are of utmost importance to both the dentist and the anesthesiologist, and therefore it is recommended to follow these instructions carefully. Failure to follow these recommendations may lead to fatal outcomes. What to expect on the day of the appoinstment? The depth of anesthesia will be decided based on the patient’s health history and dental treatment needs. Dr. Sardaryanst will update the patient’s health history and examine the patient prior to the start of the case. In all cases, anesthetic medications will be administered intravenously (that is, through an I.V. line). For pre/un cooperative children or mentally handicapped adults, anesthesia will be started by an injection in an arm or leg muscle, followed by administration of anesthetic medications through an I.V. line. All patients will be monitored continuously during their treatment and recovery phases to watch for blood oxygen levels, blood pressure, pulse, electrocardiogram, respiration and body temperature. Prior to being discharged to go home, Dr. Sardaryanst will go over verbal and written post-operative instructions for the patient with the care provider and answer all questions. The patient will be discharged when deemed safe by Dr. Sardaryanst. Dr. Sardaryanst will also call later in the day to assure that the patient is feeling well. Eating or Drinking It is extremely important for the patient to arrive and stay on an *empty stomach* before the appointment. The night before the appointment, a light meal is preferable. No food or drink may be taken after midnight for early morning appointments. For appointments later in the day, or for patients needing to eat/drink for medical reasons, please await further instructions from Dr. Sardaryanst. Change in Health and Medications If a change in health status or medication occurs, it is extremely important to be discussed with Dr. Sardaryanst prior to the day of appointment. Development of cough, cold or fever is very important to be mentioned prior to the date of the appointment. All prescription medications should be taken per their regular schedule unless indicated otherwise by patient’s physician or Dr. Sardaryanst. Medications need be taken with a sip of water. Use of street drugs is strictly prohibited for several weeks prior to anesthesia and until full recovery is achieved. Consumption of alcoholic beverages or smoking is prohibited at least one day prior and after the day of treatment. Clothing Please wear a short-sleeved loose shirt, comfortable pants, and flat shoes. Children should bring a light blanket on the day of the appointment. For children who do not wear a diaper or a pull up, a change of clothes should be made available. Do not wear makeup, nail polish, or false eyelashes. Contact lenses must be removed before anesthesia. Transportation A responsible adult must accompany patient to and from the facility with pre-assigned means of transportation and remain in the facility until the patient is ready to be discharged. Patients need to refrain from operating any machinery for twenty-four (24) hours after anesthesia. A responsible adult should spend the rest of the day with the patient and monitor higher disposition regularly. Children should arrive and leave in their designated car seat. Pain or Fever Development of nausea, vomiting, sore throat, muscle pail and loss of appetite similar to those experienced by the flu are a few common side effects of anesthesia, however they usually resolve within 24 hours. If normally tolerated, over the counter medications such as Tylenol and Advil are usually very effective and should be taken at the first sign of pain. Children may develop a fever of up to 101°F for the first 24 hours. Tylenol Elixir, taken every 3 to 4 hours, with plenty of liquids, will tend to alleviate this condition as well as treat any post-operative discomfort. Diet Only dear liquids such as water, apple juice and Gatorade should be taken for the first few hours after anesthesia. Please refrain from consuming dairy or drinks containing pulp after anesthesia. If teeth were extracted, refrain from using carbonated beverages or straws. After clear liquids are tolerated, can try soft foods such as mashed potatoes, apple sauce and water based soups. If loss of appetite occurs, there is no need to force food, however taking as much liquid as tolerated for the next 24 hours is important. Rest and Activity Due to loss of balance and judgment, normal daily activity may be difficult to perform while the effects of anesthesia still finger. Patient should not drive or make any critical decisions, and should engage only in minimal physical activity until the effect of anesthetic medications has completely subsided. In order to prevent slip and fall accidents, adults need to be supported and children need to be carried as much as possible. For example, the patient should be accompanied to the bathroom and around the house. A responsible adult should observe the patient at all times and allow them to sleep on their side and as dose to the floor as possible. The patient should be woken up every couple of hours during the first 6 hours after anesthesia to ensure a smooth recovery. Children should not engage in sports or play with other children for 24 hours. IF PATIENT BECOMES UNRESPONSVE OR HAS DIFFICULTY BREATHING CALL 911 IMMEDIATELY!